The Cleano bucket-free indoor window cleaning system is a revolution in indoor window cleaning, giving you sparkling, hygienic, bug-free windows. Even on the inside dirty and grimy windows harbour harmful bacteria, the new bucket-free window cleaning system removes dirt, grime and bugs with the combined cleaning power of pure water and microfibre without leaving residual particles or surface smears leaving windows, brighter, fresher and more hygienic. The Cleano is compact and entirely mechanical tool, with no batteries or cables with a unique integral pure water pump system that delivers pure ionised water straight to the microfibre cleaning head. 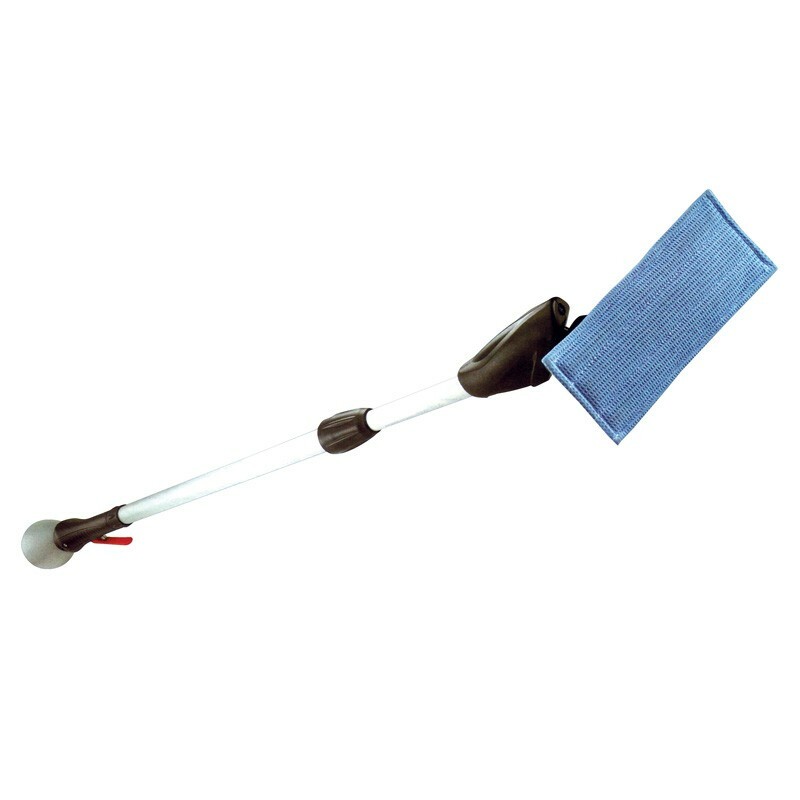 With a telescopic handle you can safely clean high-up windows without steps or ladders, even in areas with restricted access. This single tool replaces the need for a bucket, squeegee, window washer, telescopic poles or ladders and cleaning chemicals. Environmentally friendly, eliminates all chemical costs, yet provides higher productivity, reducing the working time by up to 50% and is simple to operate resulting in sprakling clean windows with the minimal of effort. Comes complete with three replacement microfibre pads. 2 x 1.25m telescopic pole. Also available in 1.4m and 3m sizes. Lever action pump from water container. Provides a super clean streak-free finish.